Serving roast duck with some form of tart fruit is a time-honoured tradition. This recipe plays on that theme, with a particular nod to Chinese-style duck and plum sauce. Preheat the oven to 220°C/Gas 7. If the duck is tied, untruss it and gently pull the legs away from the body (to encourage the heat to penetrate). Season the skin well with salt and pepper. Put the duck in a roasting tin and roast for 20 minutes, so the fat starts to run. Baste the bird with the pan juices and cover tightly with foil. Return to the oven, lowering the setting to 150°C/Gas 2. Cook for 2–3 hours until the meat is very tender and easily comes away from the bone. Tip the bird so any juices in the cavity run into the tin. Transfer the duck to a warm plate to rest. Carefully pour off most of the fat from the roasting tin (save for roasting potatoes), leaving the dark juices in the tin. Put the tin over a low heat, add the ginger, garlic and chilli flakes and cook for 2–3 minutes. Add 4–5 tablespoons water and the soy sauce, followed by all but a few of the blackberries. Simmer, stirring occasionally, for 4–5 minutes until the berries are tender. Now press through a sieve to remove the blackberry seeds, ginger and garlic. Return to a clean pan, bring to the boil and simmer for a minute or two. Taste and tweak – you can whisk in a blob of redcurrant or crab apple jelly to sweeten it, and another dash of soy if you want it saltier. When you’re happy, add the remaining whole blackberries. Keep warm. Bring a large pan of salted water to the boil. Separate the pak choi leaves, add to the pan and cook for 3–4 minutes. Drain, add a knob of butter and season with salt and pepper. Keep warm. To serve, take the meat from the duck – it should be forkably tender. Divide between warm plates and add a portion of pak choi to each. Spoon the blackberry sauce over and around the meat and serve. Noodles are the perfect accompaniment. 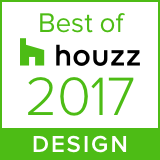 We’re delighted to have won an award with Houzz for one of our kitchens.